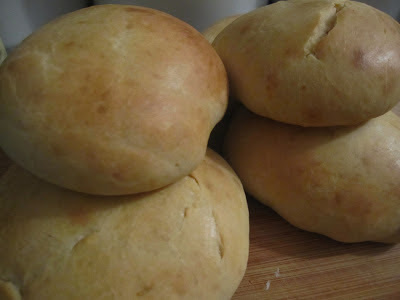 We whipped up a batch of this nostalgic goodness a few nights ago with some homemade hamburger buns and it was simply bliss. 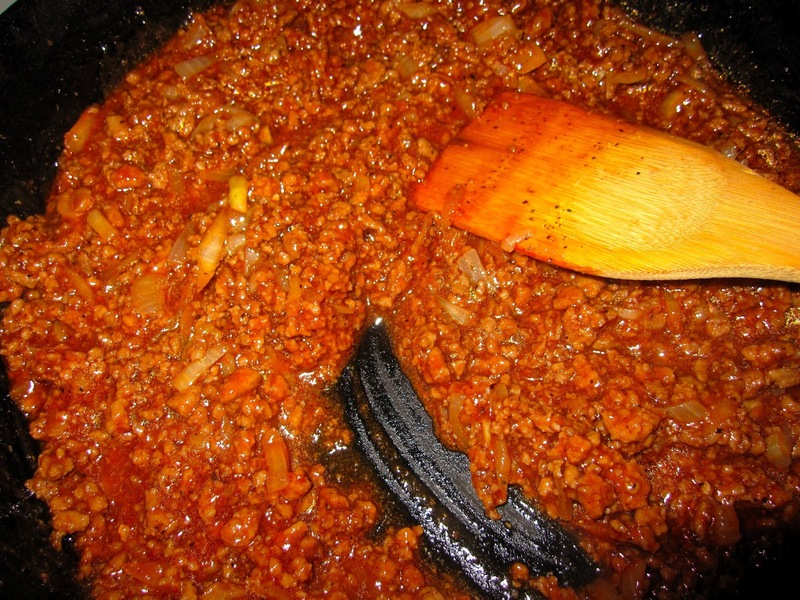 I know, I know, it seems fairly uncharacteristic for us to desire eating sloppy joe's in this household. But listen, I'm not precious. 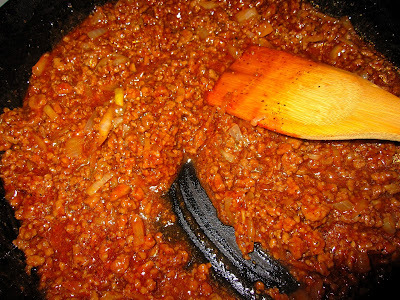 There always has been and always WILL be something COMPLETELY DELICIOUS and magical about orange, drippy sloppy joe's (also let's not forget that my husband's all-time favorite thing to eat is an Aussie meat pie.. sloppy joe's are essentially the same thing sans pie crust AND HE'D NEVER HAD A SLOPPY JOE). Sometimes you just need a comfort food meal and we had one of those nights. You know what else we served with them? Chips. Ruffles. Salty, crunchy, delicious ruffle chips. (Aaaak! Can't believe I'm admitting this!) But also you should know we basically starved ourselves all day in preparation for this upcoming culinary event so that we could eat TWO of them if we wanted and not feel guilty about it. Such horrible logic, I don't recommend it. 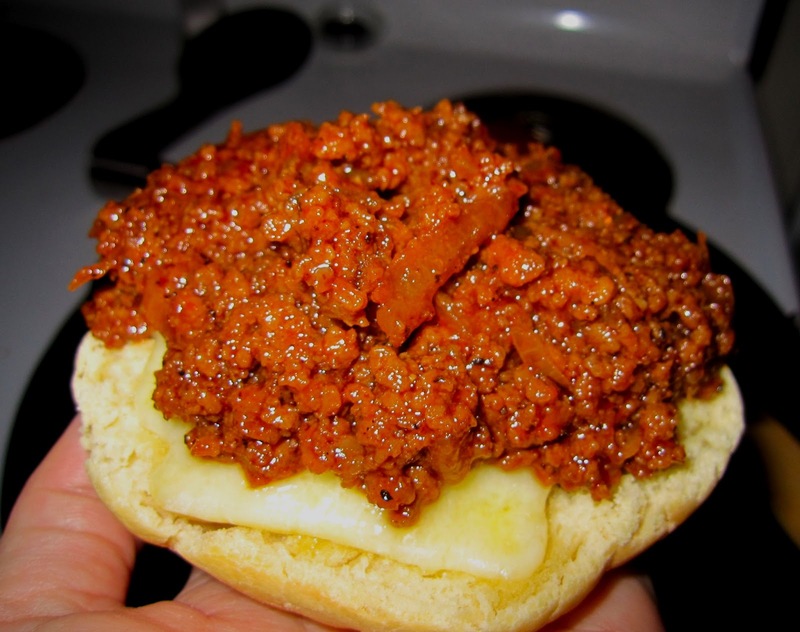 But here's my other thought... as I was preparing to post this to you, I kept thinking, "What the heck is wrong with eating a good sloppy joe?! There's hardly any difference between that and a hamburger... omit the little bit of brown sugar and you're there! I want people to know it's A okay to eat good old fashioned meals if they want to, as long as the rest of their diet has balanced, fresh goodness in it. I'm goin' for it! 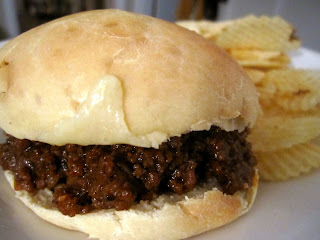 I'm telling them about these awesome sloppy joe's and encouraging them to have a sloppy joe party night!" 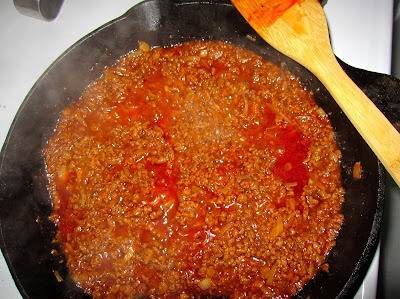 So friends, celebrate our glorious land of the free and home of the brave this President's Day weekend with an All- American tradition of sloppy joe's, chips and baked beans if you want 'em! 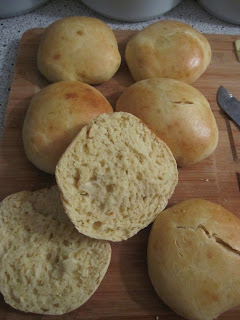 hamburger buns for serving... we homemade ours, they're awesome. 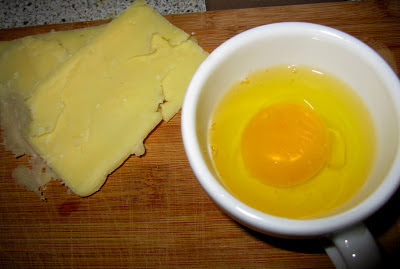 I'll put recipe at the bottom of post. 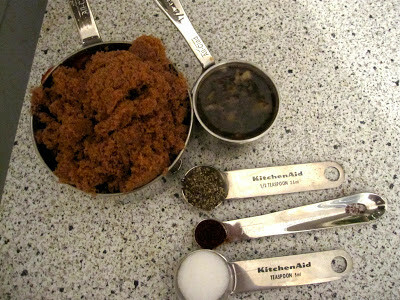 A quick word about the way I sometimes measure which could make your life easier as well: In cooking, if something calls for 1/4 cup something and 3/4 cup something, why not just put them both in the same ONE CUP measuring cup? Yes. You should. It's fun. If something calls for 1/8 something and 1/8 something, praise the Lord for 1/4 cups, right? Half and half it! 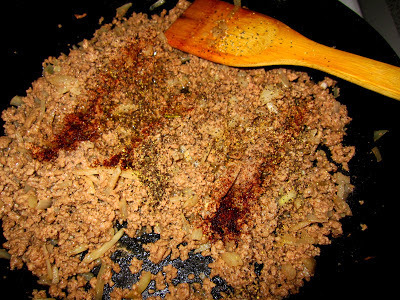 So somewhere under that messy pile of brown sugar is ketchup and a big squeeze of mustard. And underneath that chunky apple juice is worcestershire sauce. Cool? Cool. Also the only reason my apple juice is chunky is because I attempted to "freshly squeeze" my apple with my citrus juicer because I didn't have apple juice but it needed it. So go easier on yourself and just buy a box of apple juice. In a large skillet over medium low heat, toss the diced onion in and start to saute until translucent, around five minutes (no, you don't need oil in the skillet). 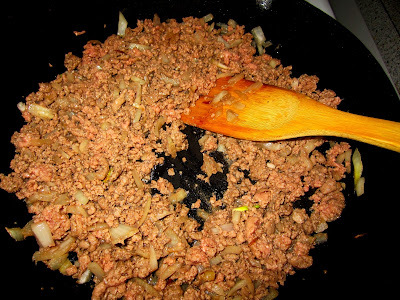 Make sure to keep the onions moving so they don't stick and when they're getting translucent, add the ground beef and cook until brown. 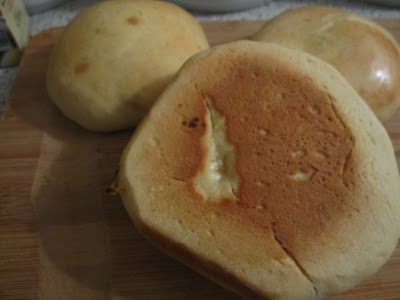 If you're homemaking your hamburger buns, now's the time to pop them in the oven because you'll just now start the slow simmering process for the sloppy joe mixture. 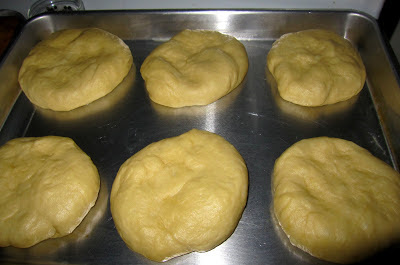 It'll take about 20-25 minutes, just the same as the buns. 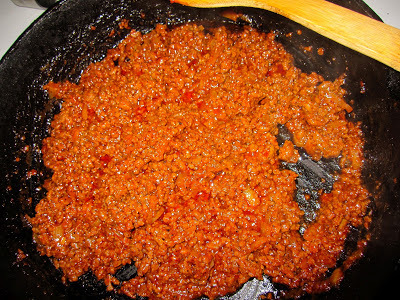 Once the meat is browned, add in the spices and stir well for about 3 minutes. Again, make sure you're stirring often and keeping an eye on the skillet, otherwise the meat will start to stick and burn. We don't want to add extra oil to the pan because you're about to deluge it with all kinds of liquid. Moving on... let's add all the other ingredients. Dump them all in and stir stir stir. 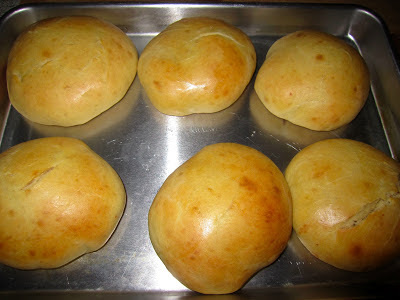 Now slice up some cheese and egg wash the buns if you'd like in their last few minutes in the oven. 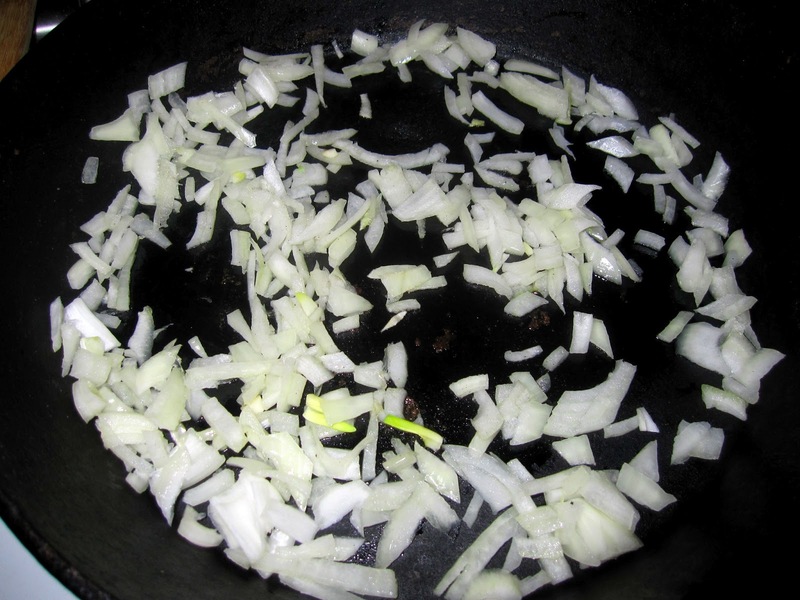 This is when you can start your kitchen clean up because now, you'll slightly turn the heat back and let it simmer. First it'll be liquidy, with pools of orange, then it'll thicken a bit. Then when you can pick up a good portion of it with a spoon, about 20 some minutes later, it's done (make sure you're tasting it along the way and that you like it.. add whatever your heart desires if you think it needs it.. i think i sprinkled in some extra pepper in there at some point... also diced green pepper would be nice). just needed you to see the bottom of that bun.. i mean, it looks store bought right? please please make these. And now we assemble! Turn your oven to the lightest broil setting, slice your buns in half and lay the cheese on top. Or bottom, or both. :) Broil just until the cheese is melty and the edges of the buns are getting a little golden. Pull them out, turn your oven off and slop away! The messier the better! Serve with a side of chips or stuff those inside too! Happy Birthday, Mr. President. No better way to celebrate George Washington. 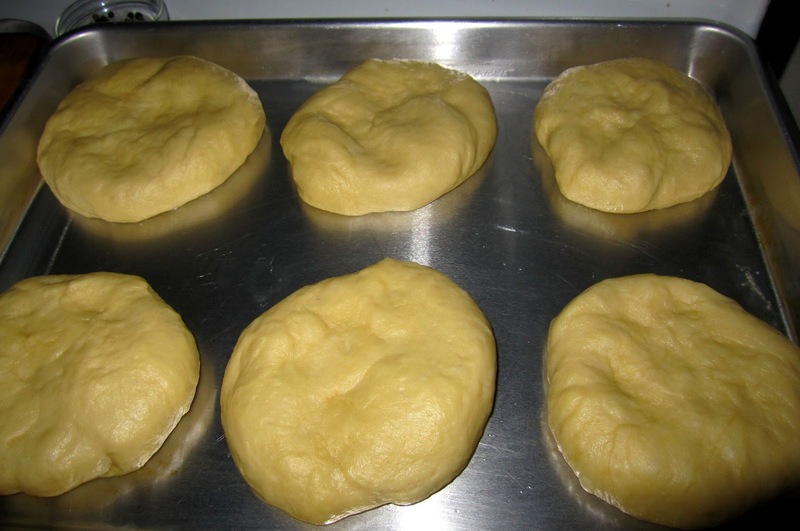 cut the dough into 6 pieces only, roll into a ball, flatten out with your hands and place on a greased cookie sheet instead of a cake pan. 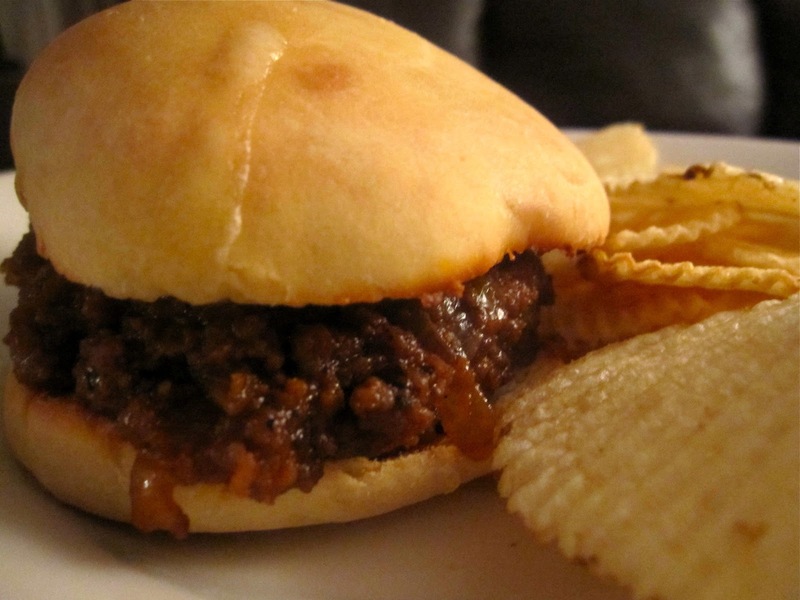 Once again, you take the simple and lowly "sloppy joe" and make it a culinary "tour de force." I'm remembering why I used to love them in the school cafeteria. Great job as always, giving us the incentive and the encouragement to step away from the wheat germ and tofu for a minute, and remember why this is a great country! :) Love you, Sidney.